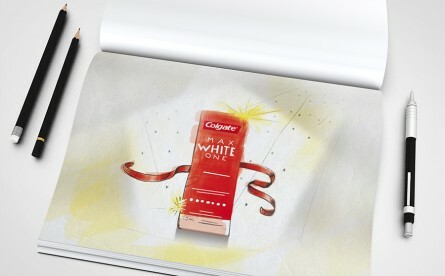 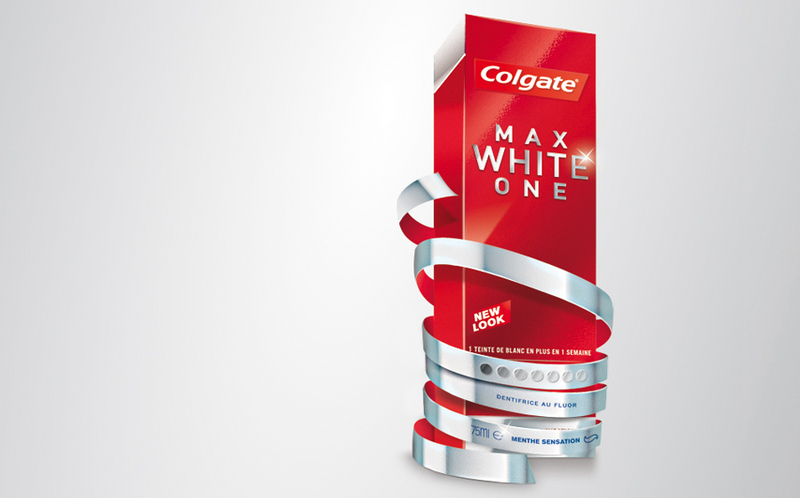 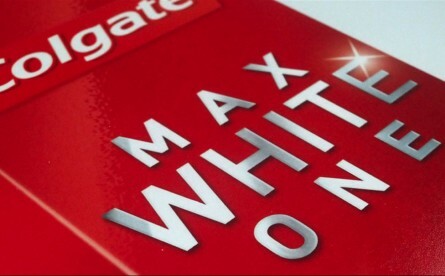 Colgate affirms its commitment to beauty and positions Max White One as a product belonging to the universe "cosmetic" . 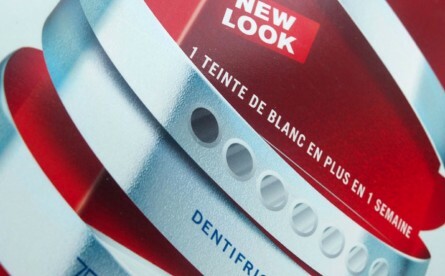 Our mission was to promote the change of packaging, turning from gray to red. 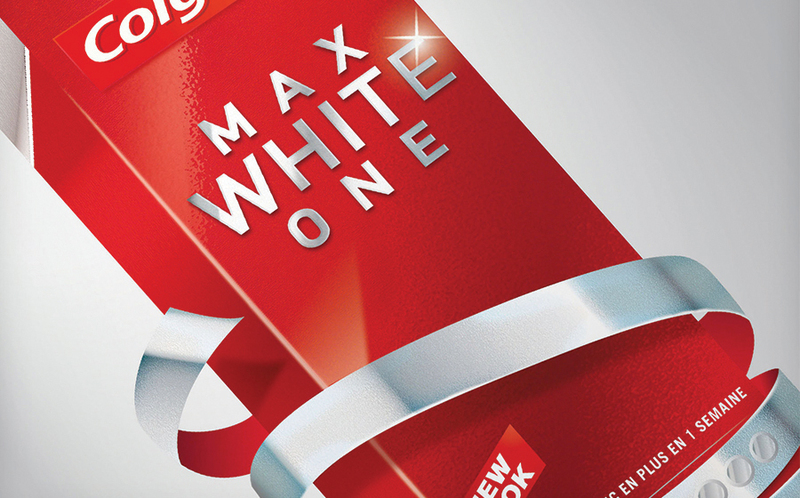 The main challenge becomes to bring an aesthetic and qualitative look at this product to inject elegance, suggest femininity and reveal the excellence of the product through the attention paid to each of the visual details.